All of the challenges identified in the Bristol Development Framework Core Strategy (1) concern areas which would benefit from NBS. Furthermore, the 20:20 plan – Bristol’s Sustainable City Strategy (2) – has identified climate change as one of three key challenges. It acknowledges the potential for green infrastructure, such as trees, green walls and roofs, to minimise and mitigate the urban heat island effect, while Sustainable Urban Drainage Systems (SUDS) are seen as an important part of flood management. 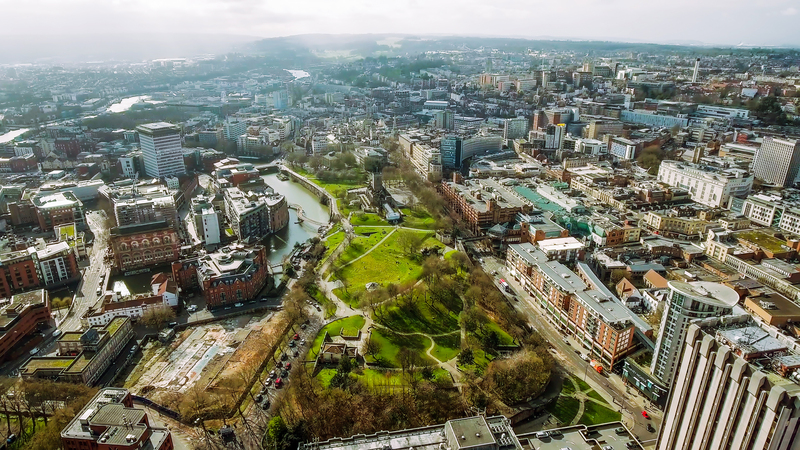 Bristol’s Parks and Green Spaces Strategy (3) includes a 20-year investment programme for the future provision of green space, including natural habitats, so that the public has ready access to good quality green space for formal and informal activities. This is seen as vital for encouraging active and healthy lifestyles and for furthering Bristol's efforts to become a green and sustainable city. The objective is also to provide demonstrable evidence of the benefits of investing in green spaces, focusing on where the investment is needed most and encouraging local communities to get involved in the management of their green space. In the GREEN SURGE review of the status of green space planning and management in the European city regions selected, only Bristol and Barcelona were found to explicitly embed the (urban) green infrastructure concept in terms of connectivity and multi-functionality. Finance may come from the Statutory Authority, while some schemes involve a partnership with various environmental NGOs.